After a 15-year hiatus, Derek Zoolander (Ben Stiller) and Hansel (Owen Wilson) will soon walk down the runway yet again. Zoolander 2 has become one of – if not the – most highly anticipated comedies of the coming year, and the release of its first trailer last week only increased that anticipation. However, not everyone is thrilled with what they saw when the trailer dropped. LGBT activists have now called for a boycott of the film due to its allegedly offensive portrayal of the transgender community. THR reports that the controversy in question stems from a particular character in the film named All, portrayed by geek messiah Benedict Cumberbatch. All – as the name would suggest – is an androgynous supermodel that does not fit into the binary perception of gender. When introduced to Derek and Hansel, the former asks if All is a male or female model, followed by the latter clarifying with the question, "Do you have a hot dog or a bun?" It's a fleeting moment, but one that did not sit well with quite a few people. 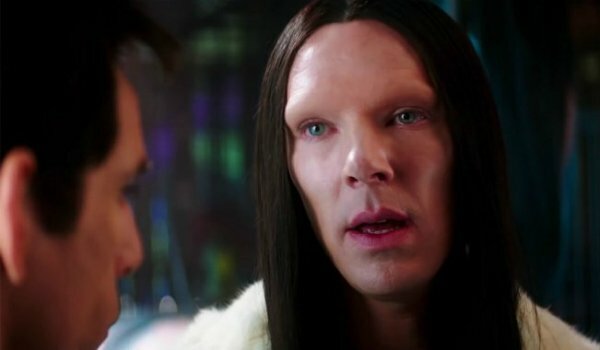 Cumberbatch’s character is clearly portrayed as an over-the-top, cartoonish mockery of androgyne/trans/non-binary individuals… This is the modern equivalent of using blackface to represent a minority. Like any rational person, I think there's a place for discourse and humor in society, but the last thing the transgender community needs at this moment is another harmful, cartoonish portrayal of our lives. This sort of controversy represents a fine line that comedies must walk. For example, the original Zoolander incited numerous laughs for its allusion to an odd homosexual relationship between the villainous Mugatu (Will Ferrell) and his assistant Todd (Nathan Lee Graham) – both of whom return for similar jokes in the sequel. However, those laughs were geared more towards the characters themselves, rather than a mockery of a section of the LGBT community. Zoolander 2 only represents the latest in a series of upcoming films that have been pegged for making fun of marginalized cultures. Adam Sandler’s upcoming film The Ridiculous Six has been marred by controversy for months due to claims that the film depicts Native American culture in an offensive light, as well as the fact that the production even used makeup to darken the skin of Native American extras. We will keep you posted on this controversy – as well as any other news pertaining to Zoolander 2 – as it becomes available. The film hits theaters February 12, 2016.